Attorney Lisa Hennessy Fitzpatrick has the knowledge and experience to provide advice and representation with business matters including contract drafting and contract disputes. 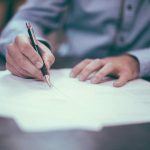 Whether you are thinking of establishing a new business, need a contract drafted, or having a dispute regarding a business contract, Attorney Lisa Hennessy Fitzpatrick is here to help! Contact our office today to set up a consultation!